In 1968–69, Amer­i­can Indian stu­dents on cam­pus met with then-Chancellor Young to con­sider what the Uni­ver­sity could do to bet­ter serve the Indian com­mu­nity. A task force was estab­lished to exam­ine exist­ing Amer­i­can Indian pro­grams through­out the nation. Fol­low­ing a year of fact-finding, a series of rec­om­men­da­tions was sub­mit­ted, includ­ing the estab­lish­ment of a fac­ulty advi­sory com­mit­tee that served as a search and screen com­mit­tee for the hir­ing of a pro­gram coordinator. 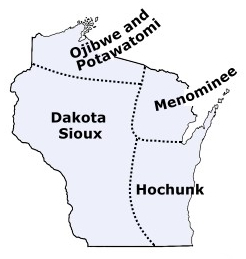 In 1972, the Native Amer­i­can Stud­ies Pro­gram was estab­lished on the Uni­ver­sity of Wisconsin-Madison cam­pus. The pri­mary pur­pose of the pro­gram was to coor­di­nate the devel­op­ment of Native Amer­i­can Stud­ies courses and recruit­ment of Amer­i­can Indian fac­ulty. The pro­gram also served as the pri­mary link between Amer­i­can Indian stu­dents and other uni­ver­sity depart­ments and administration. John Niemisto, a newly grad­u­ated law stu­dent, was hired as the first Native Amer­i­can Stud­ies Pro­gram coor­di­na­tor in 1973. In 1975, Tru­man Lowe was hired to suc­ceed Mr. Niemisto. Due to a lim­ited pool of qual­i­fied Native Amer­i­can schol­ars and pro­gram bud­get, pro­gram goals and objec­tives were shifted in 1976. The major change was the shift of efforts in recruit­ment to the devel­op­ment of pro­grams that bring more atten­tion to and a greater aware­ness of Amer­i­can Indian cul­ture and related con­tem­po­rary issues to the cam­pus com­mu­nity. It was also in 1976 the Pro­gram office was moved from the UW-Madison Law School to the School of Edu­ca­tion in the Edu­ca­tional Sci­ences Building. 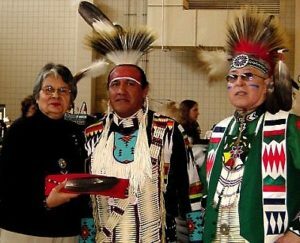 Ada Deer, the Amer­i­can Indian Stud­ies Pro­gram Direc­tor until 2007, was hired in 1977 as a half-time lec­turer with respon­si­bil­i­ties for cur­ricu­lum devel­op­ment and fac­ulty recruit­ment. (She was also given a one-half time appoint­ment in the School of Social Work). Dur­ing the 1987–88 school year, the name of the Native Amer­i­can Stud­ies Pro­gram was changed to the Amer­i­can Indian Stud­ies Pro­gram. Also dur­ing 1988, the Amer­i­can Indian Stud­ies Pro­gram was ele­vated in sta­tus and was per­ma­nently trans­ferred from the School of Edu­ca­tion to the Col­lege of Let­ters and Sci­ences. With this also came a phys­i­cal move to Ingra­ham Hall, where the Pro­gram office cur­rently resides. In 1995, the Amer­ican Indian Stud­ies Pro­gram pro­posed to estab­lish a Cer­tifi­cate in Amer­i­can Indian Stud­ies. The deci­sion to sub­mit the pro­posal was approved by a unan­i­mous vote of the fac­ulty affil­i­ated with the pro­gram. The cer­tifi­cate was first offered in 1997. The fac­ulty has expanded in recent decades to include asso­ciate and full-time mem­bers in the depart­ments of Anthro­pol­ogy, Eng­lish, Art His­tory, Lin­guis­tics, Law, Life Sci­ences Com­mu­ni­ca­tion, Art, and Jour­nal­ism and Mass Communication. The Amer­i­can Indian Stud­ies Pro­gram func­tions in tan­dem with the greater Uni­ver­sity com­mu­nity to pro­vide aca­d­e­mic, cul­tural, research, and orga­ni­za­tional sup­port for stu­dents, staff, and fac­ulty who are inter­ested in Amer­i­can Indians.